“Get your popcorn! Get your peanuts! Yes! 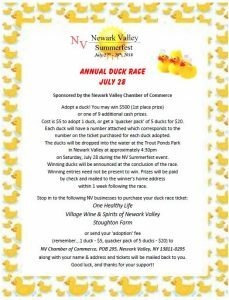 Adopt a little yellow Quacker for the 1st Annual Newark Valley Duck Race! 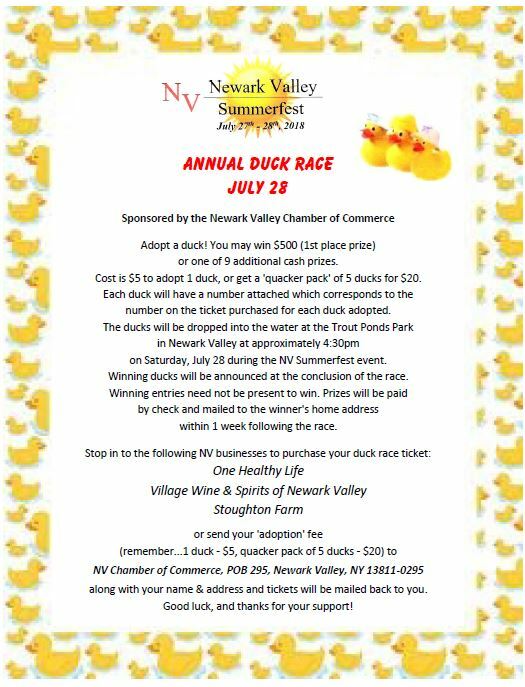 Adopt 1 duck for $5.00 or increase your odds of taking home a prize and adopt a whole Quacker pack of 5 ducks for $20.00! All these adorable little quackers will be taking to the water at approx 4:30pm on Saturday July 28 at the Trout Ponds park.